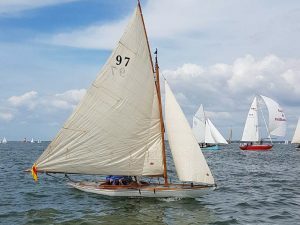 THISTLE was built and launched in 1960 to the standard Miller Fifer 33 design by Jason Miller and built at the St Monance boatyard in Fife. 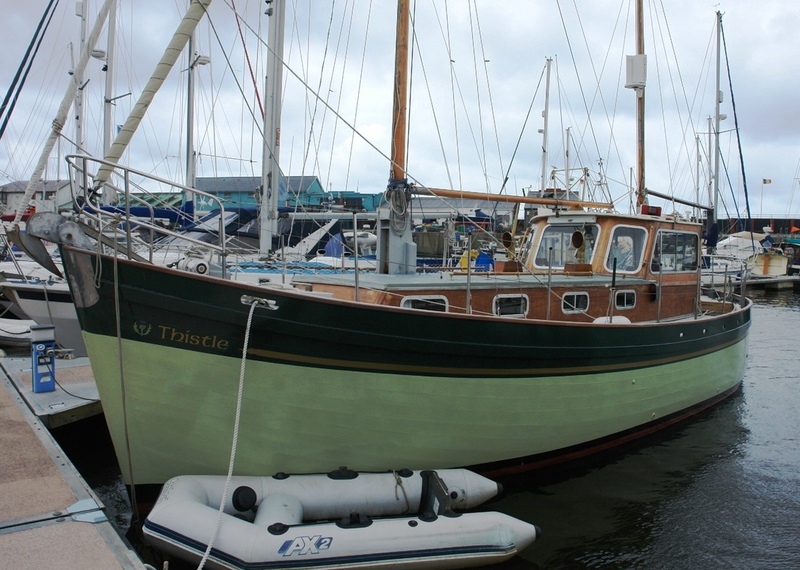 Launched as TAFNA and registered in Whitby in 1966 as ELSANDRA in the ownership of D W Lowes from Osmotherley. 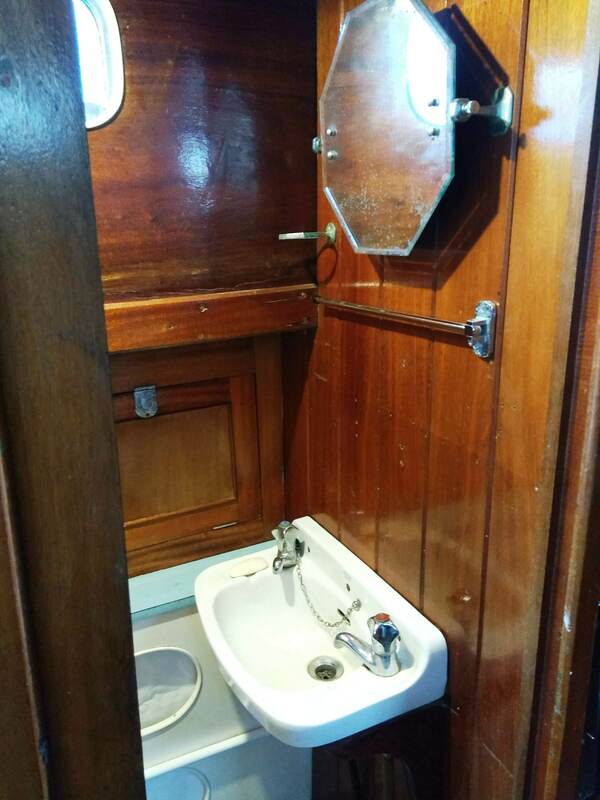 In the mid-1970s Mr & Mrs D W N Lindsay of Edinburgh bought the vessel moving her north to Granton on the Firth of Forth. 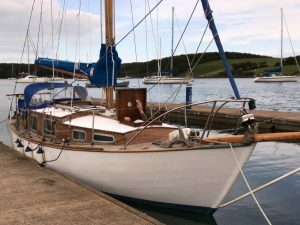 In 1978 Ian Douglas bought ELSANDRA mooring her at Clynder on the Gare Loch. In the 1990s she was owned by the well-respected artist Paul Marinez-Frere and kept in Aberystwyth Marina. 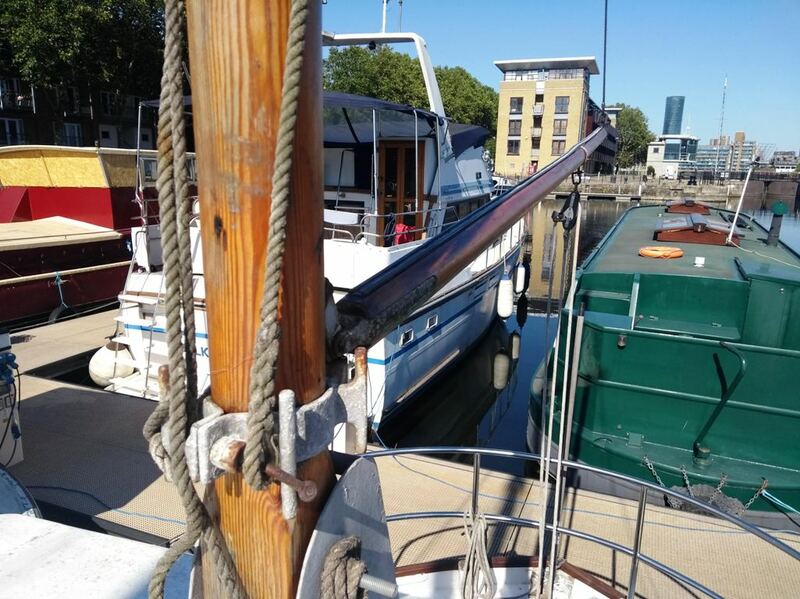 In the current ownership, THISTLE has been used as a pied-a-terre in a Central London dock. 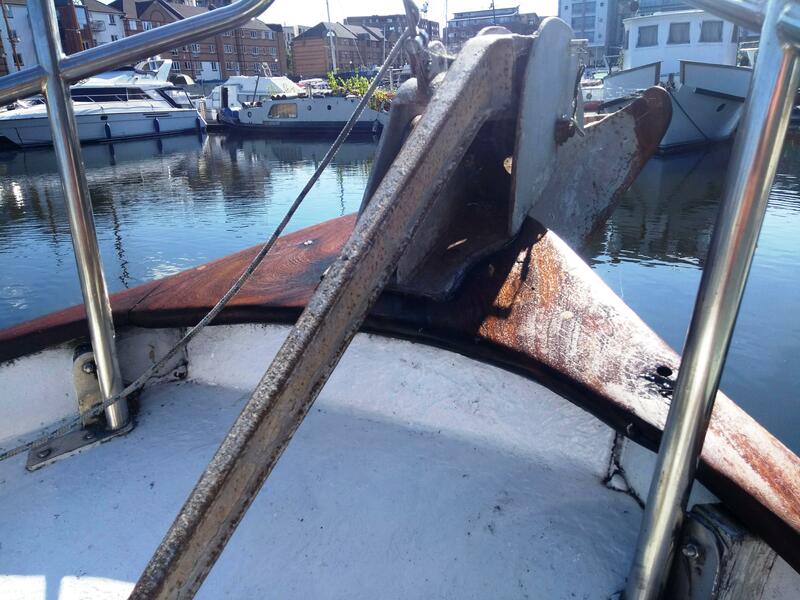 Carvel inch and eighth Larch planking to the waterline, Mahogany topsides, all iron fastened to sawn oak frames. 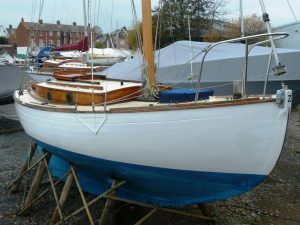 Oak centreline and keel. Some planking replacement and re-caulking following 2014 survey. 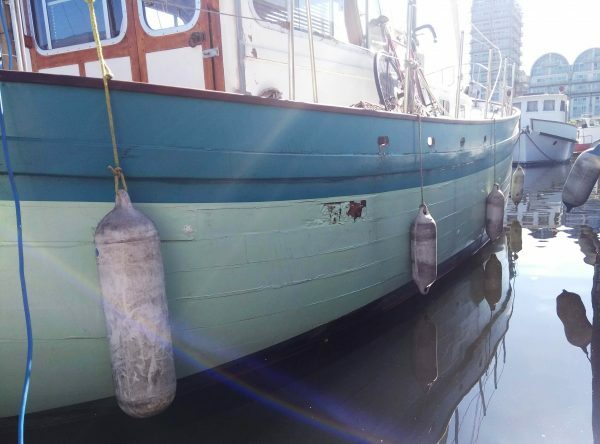 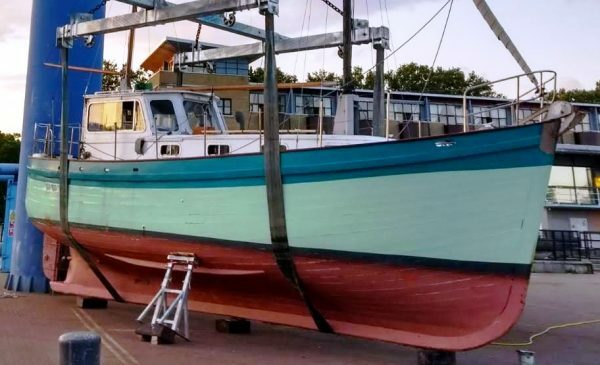 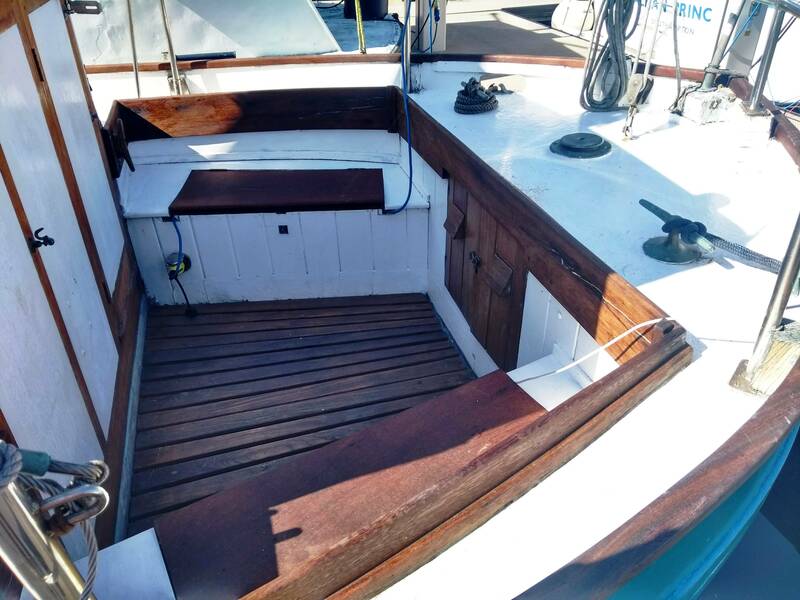 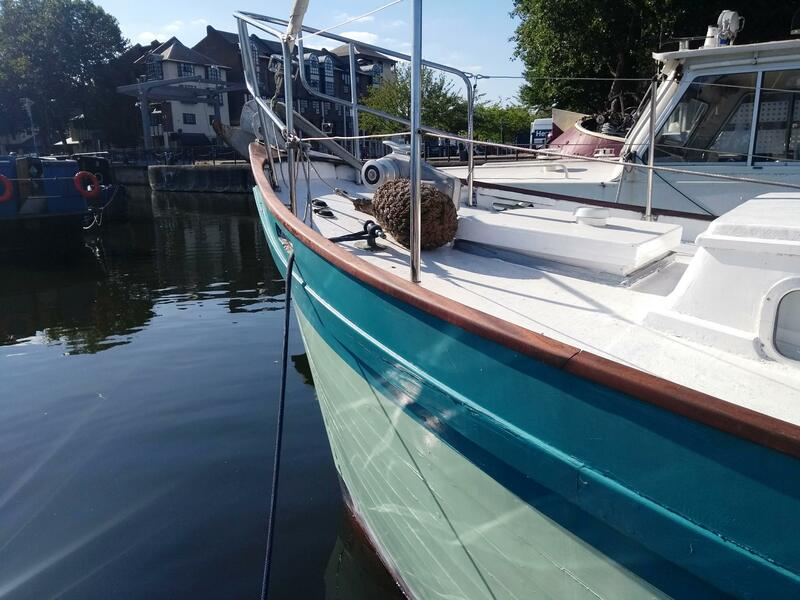 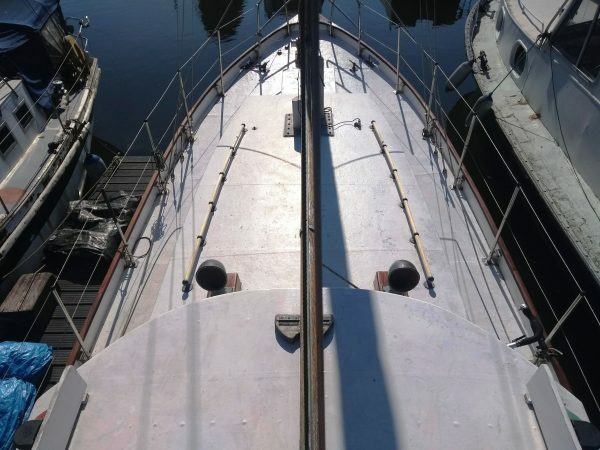 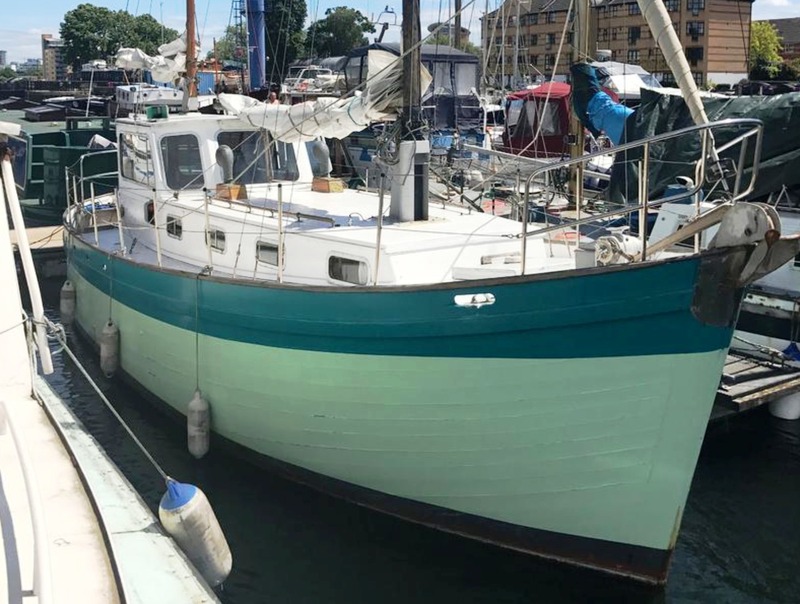 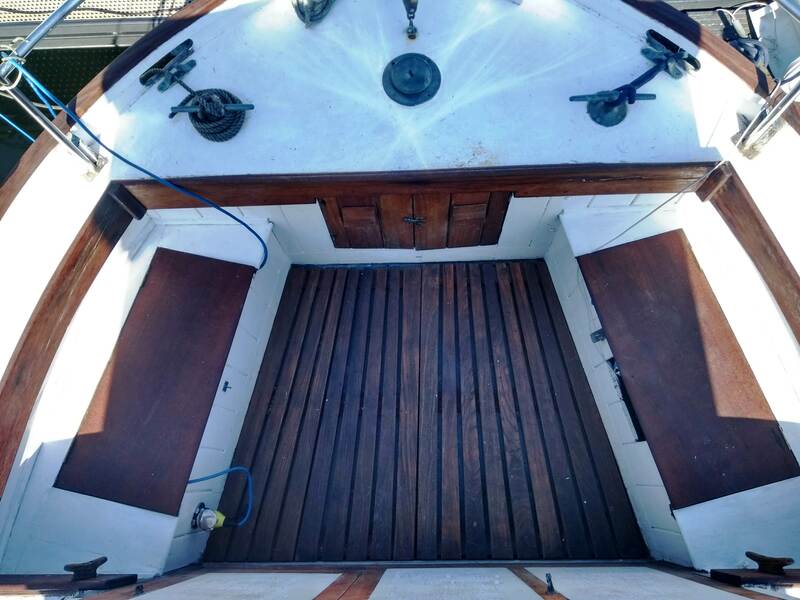 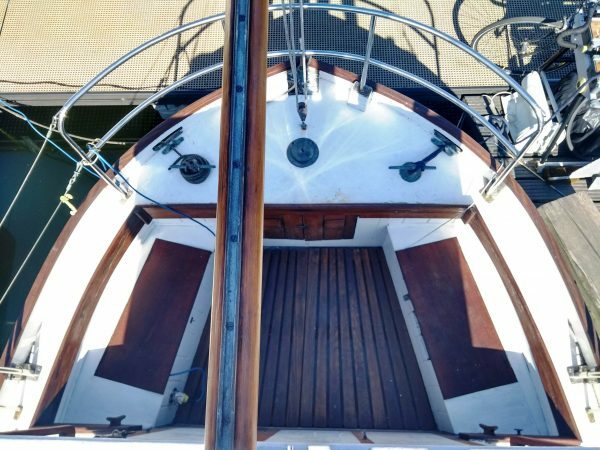 July 2018 lift out with additional caulking and antifouling. 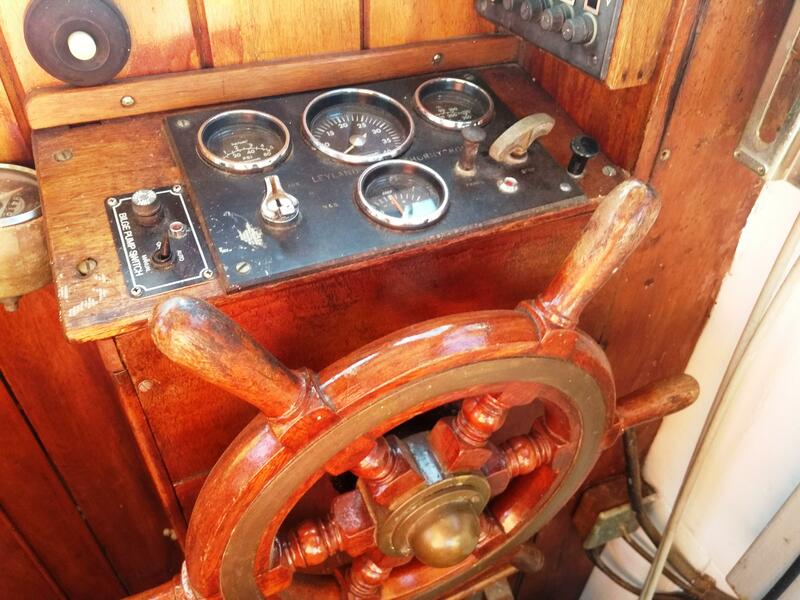 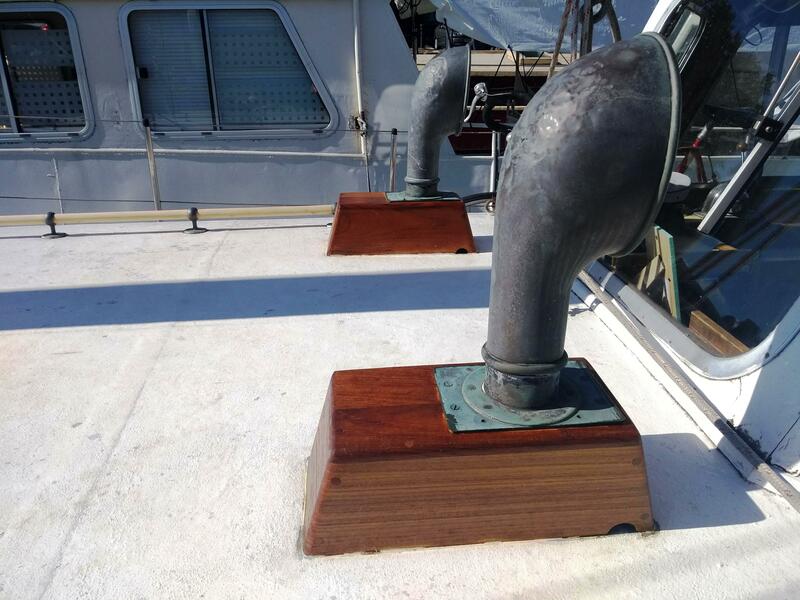 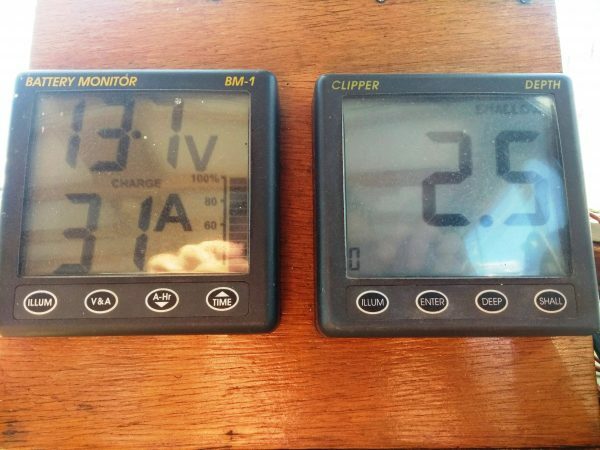 A number of strakes, amidships starboard topsides require attention. 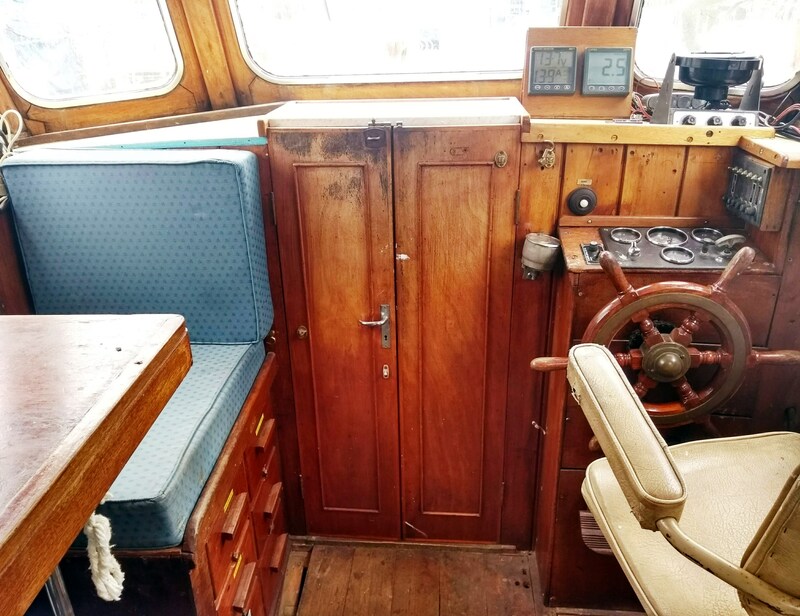 Traditional accommodation for four/five in three cabins to include wheelhouse. 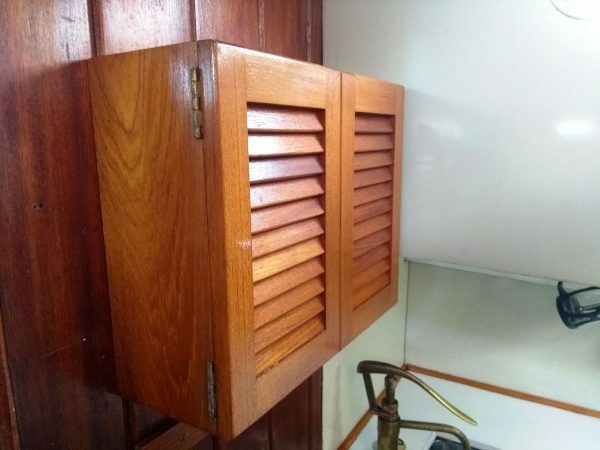 Original polished Mahogany joinery. 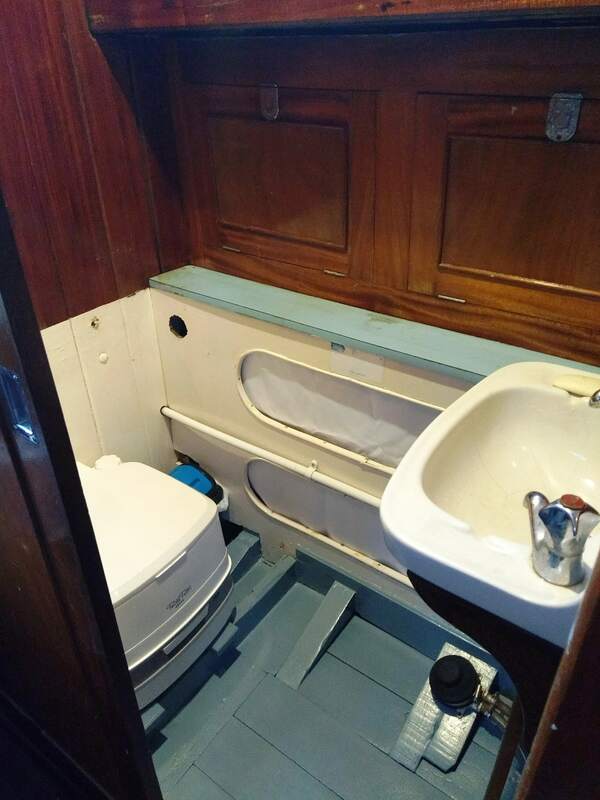 Fore cabin with double berth having locker storage under. 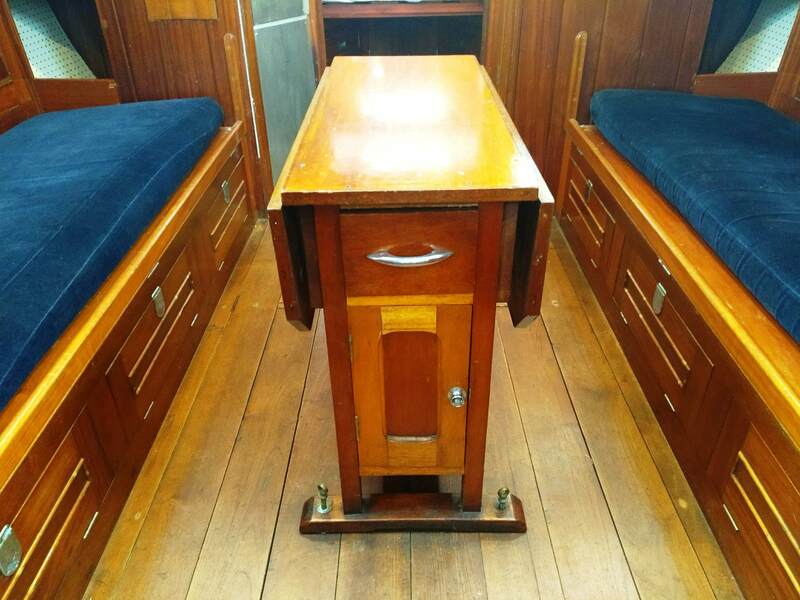 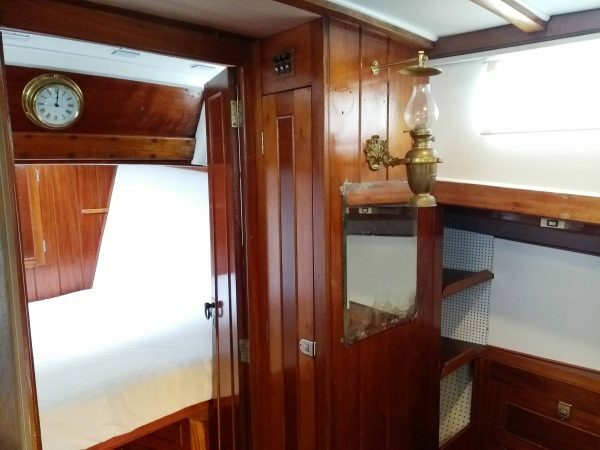 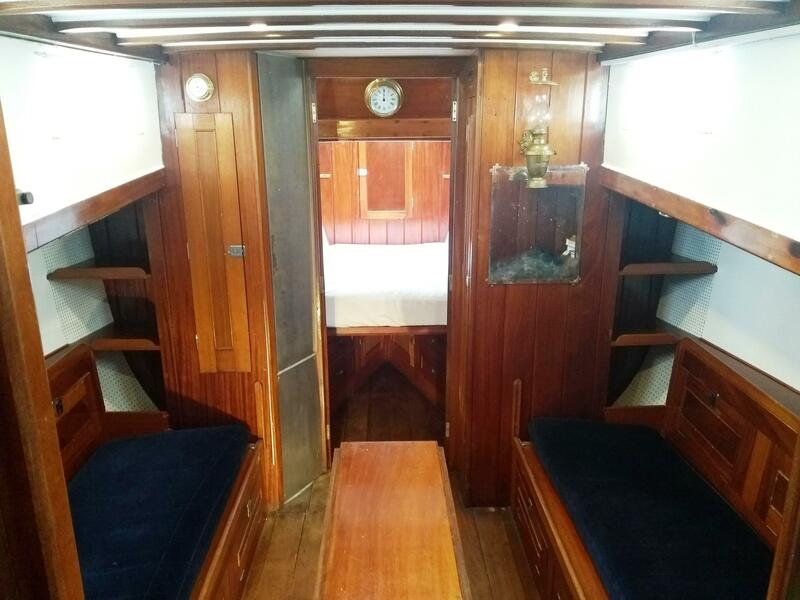 Athwartships bulkhead with door to Saloon with port and starboard settee berths with lockers below. Drop-leaf cabin table. 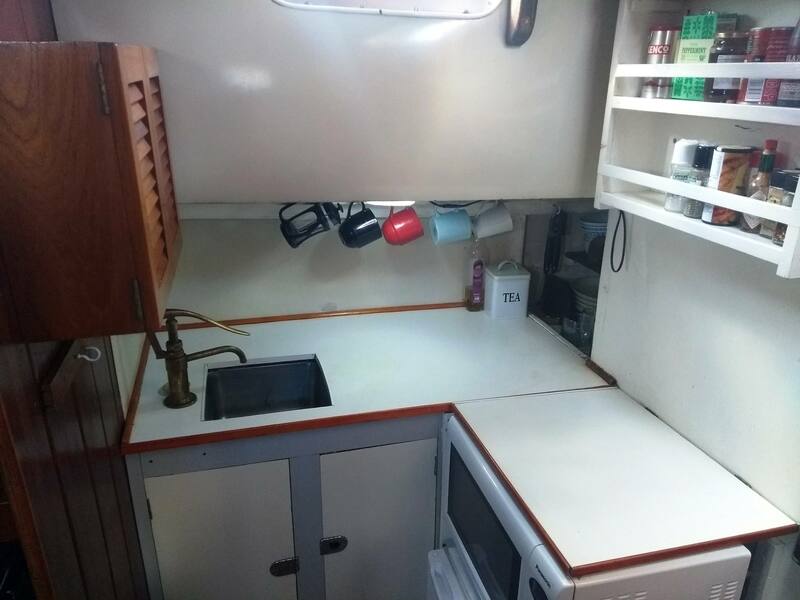 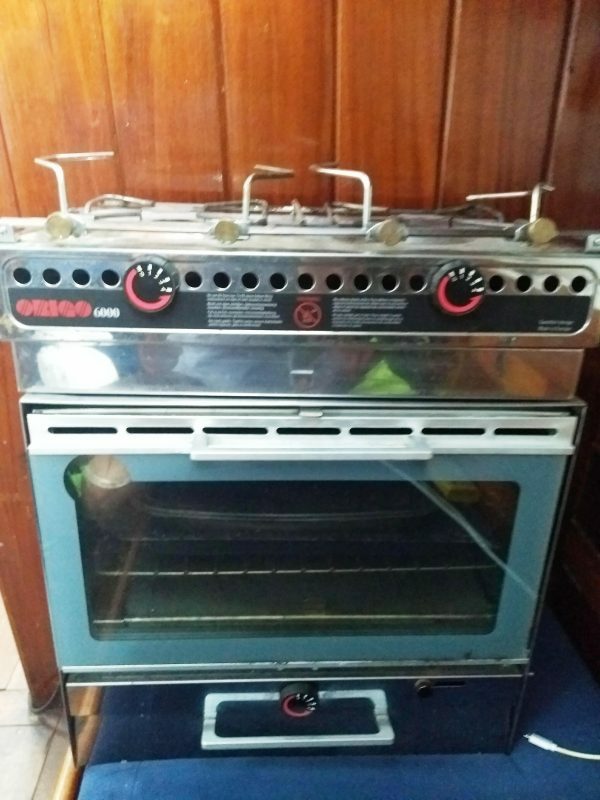 Galley to starboard quarter with sink unit, pantry and crockery lockers and Origo 6000 cooker (not installed) Heads compartment to port quarter with chemical WC, washbasin. Original Baby Blake marine WC available. 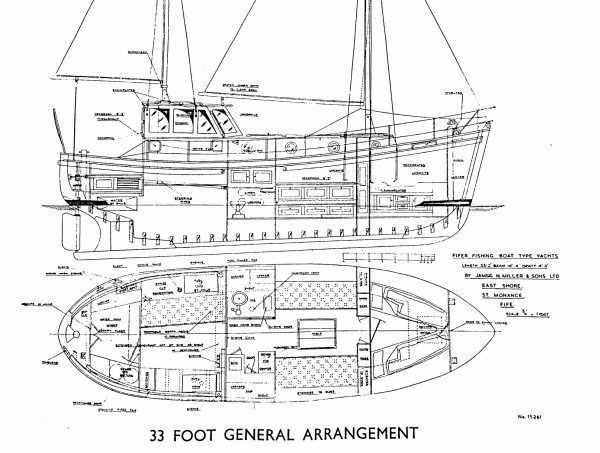 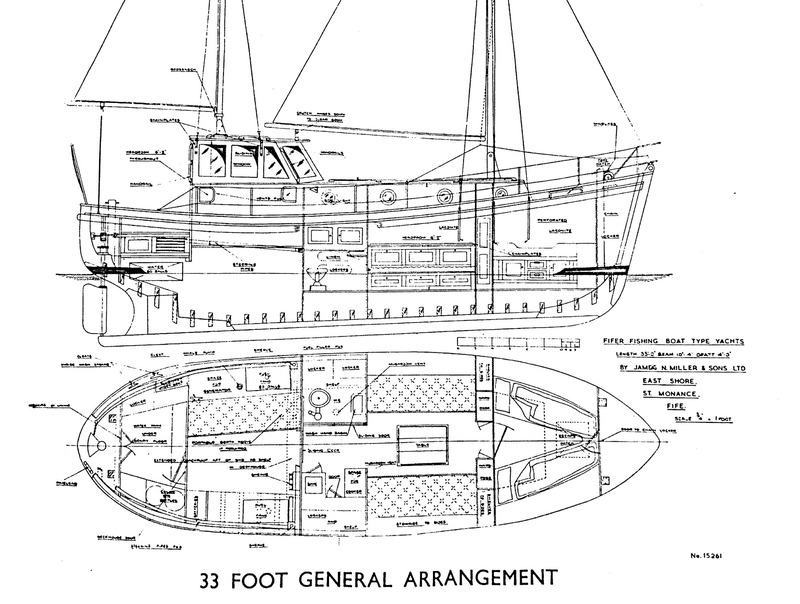 Ketch rig sets 281 sq.ft plain sail, deck stepped main and mizzen masts, timber spars. Furling jib, main and mizzen sails. 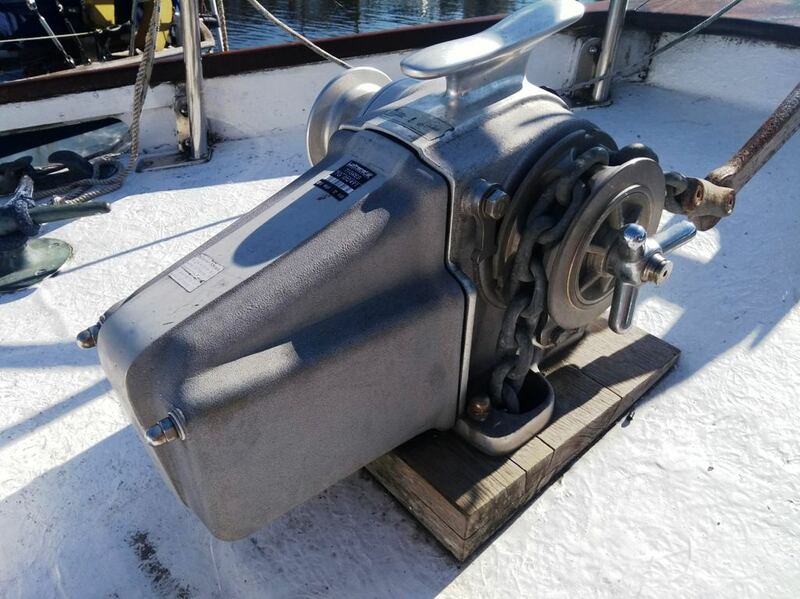 60hp THORNYCROFT 230 DIESEL ENGINE, shaft driven three bladed bronze propeller. 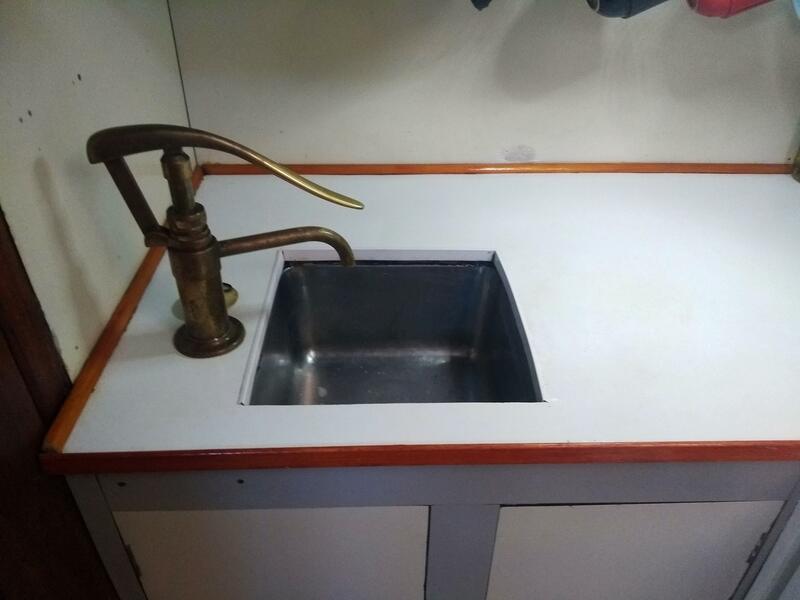 150 gallons fuel capacity, 60 gallons fresh-water capacity. The Miller Fifer 33 is an extremely popular and proven motor-sailer design since the first boats were built in the late 1950s, largely based on the mid 20th Century Scottish Fishing Boats. With their high bows and canoe stern they are ideally suited for coastal and extended sea passages. 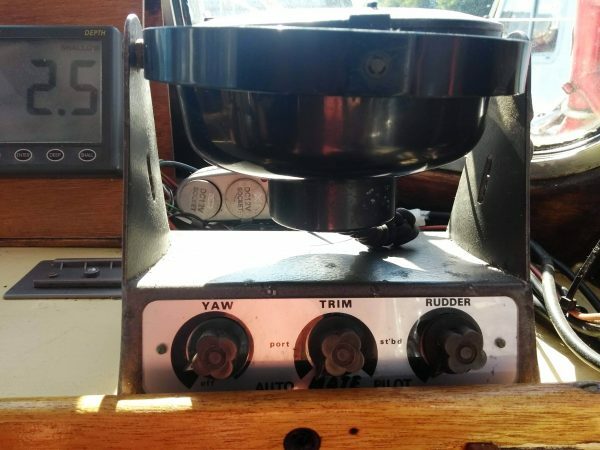 The useful rig makes the Miller Fifer a successful 60/40 motor-sailer. THISTLE has been well maintained over the years but now requires some hull repairs, although still in commission but not sailed recently. 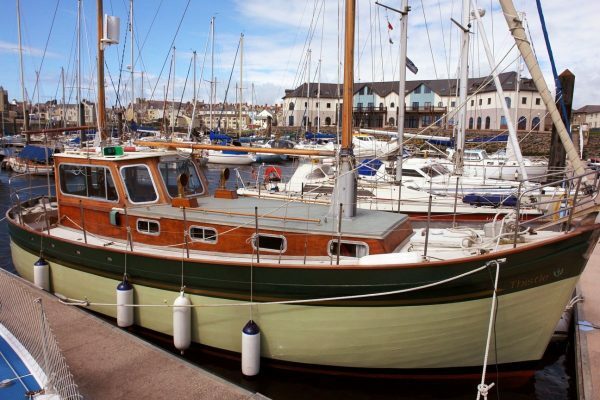 Seriously for sale with offers invited on the guide price.